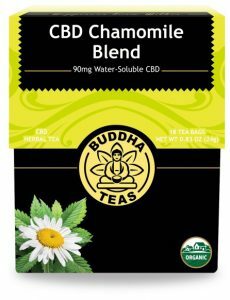 CBD Oil Review rates Buddha Teas CBD with four stars because it qualifies for the Quality, Charity, Mission & Innovation Badges. We can’t say enough good things about Buddha Teas. Everything about this company screams sustainability, from their honestly organic ingredients to the environmentally-friendly coating on their packaging. And they’re doing something no one else is, at least in America. The CBD in their tea is water soluble, optimizing bioavailability and creating a wonderful experience for tea drinkers everywhere. We were incredibly close to awarding them a five-star rating, but we need to see lab results from their CBD to make that happen. Buddha Teas founder John Boyd moved to the U.S. in 2006 and quickly recognized a void in the market for unadulterated, healthy teas. Tea is often automatically assumed to be healthy, but the sourcing and processing employed by many major brands involve some scary stuff: pesticides, unsustainable farming methods, and even child labor. Buddha Teas is different. As the name suggests, the company’s intention is to be inline with ethics and the environment. Their teas are 100% organic, unaltered, and wildcrafted. The packaging is 100% recyclable, and they even use soy-based ink. No artificial colors, no artificial flavors, just healing herbs and honestly organic ingredients. 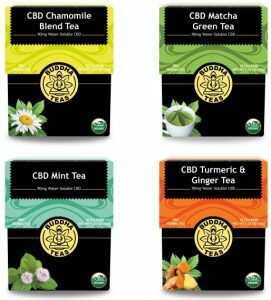 Buddha Teas currently sells their original line of conscious teas along with their increasingly popular CBD line. The CBD line features four varieties: chamomile, matcha, peppermint, and turmeric and ginger. Each tea bag contains five milligrams water-soluble CBD. Here lies the major difference in the Buddha Teas brand. Presently, they are the only U.S.-based company that offers water-soluble CBD tea. By utilizing CBD oil converted into nanoparticles, the cannabidiol will diffuse when the tea is steeped. According to Buddha Teas (and we agree with them), CBD tea with oil-based compounds simply doesn’t make sense, since oil does not mix with water. Buddha Teas plants an astonishing 5,000 trees per year in their partnership with Trees for US, an organization spearheaded by the National Forest Foundation. We love their spirit of innovation and commitment to sustainability that checks out at every point. Our only qualm is with testing results. Due to the ethos and business practices of Buddha Teas, we totally believe their products are safe. We just need to see online lab results in order to issue the Safety Badge. Bottom Line – Buddha Teas is an ethically sound, ardently sustainable company that we love. Many wellness companies use the word organic to describe themselves but also incorporate non-organic ingredients. It’s not a crime, and there aren’t organic police that will prohibit you from using that wording. 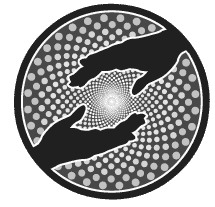 Here we have a company that is organic through and through. We just need to see those test results for a five-star rating! Buddha Teas uses sustainably and ethically sourced ingredients with a slew of natural benefits. Buddha Trees plants 5,000 trees per year in conjunction with the Trees for US organization. Buddha Teas is committed to supplying CBD tea of the highest quality available at an affordable price point to those looking for unadulterated, sustainably sourced products. 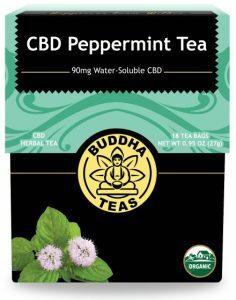 Buddha Teas is currently the only U.S. purveyor of water-soluble CBD tea, using the optimal delivery method for increased bioavailability in CBD tea products.